According to Craig Coman, 70% of gut-related problems lead to back pain! Effective relief is indeed provided from the pressures of constipation or irritable bowel syndrome with the aid of Visceral Osteopathy. Nowadays, nearly everyone has some sort of digestive problems. Symptoms may include bloating and flatulence, (gas) but it is hardly surprising the way our lifestyles are running today. We may be slumped in the car or at the desk, skipping breakfast and lunch on the run. Busy therapists may recognise catching morsels of food in between clients and dashing out for home visits. That is just the pace of life now and our poor digestive systems have to cope, trying to keep up with our hectic lifestyles. A bit of digestive dyspepsia, (discomfort following eating) may not seem like an illness, but it can possibly indicate a liver under pressure. Occasional constipation is uncomfortable, but not serious. It can however indicate a level of dehydration which will in turn, have a knock on effect on metabolism and energy levels. For example, Joe is in his mid-forties and is always on the road fixing photocopiers. He has an average build, does not suffer from illness and thinks he is quite healthy. He presents a common body and lifestyle type. He is busy and often finds his jobs over-run leaving him stressed and late for the next job. He will grab some food from a cafe and possibly an energy drink as he gets tired. Dora is in her early fifties and works in the office with the broken copier. She looks after herself, but finds it hard. Since her hormones started to play her up, she finds it more difficult to shake the weight off and now is not sleeping very well. She gets tired and is also stressed as the broken copier means she cannot get on with her work and today she is going to work without lunch as Joe is late. Joe and Dora are both profiles we see a lot as Osteopaths. We are qualified to deal with how a patient’s lifestyle affects them. We work from a Visceral, Osteopathic approach, seeking to restore the whole digestive system to its, “pre-stressed state” by relaxing all the muscles involved and getting them working properly, stimulating the parasympathetic system and taking tension out of the fascia surrounding the digestive organs. We combine Visceral Osteopathy with myofascial techniques and acupuncture for maximum effect as comprehensive treatment is provided for the mind and body, taking a holistic and structural approach to bloating, constipation, deep abdominal pain and common digestive disorders associated with our 21st century lifestyle. The treatment starts with a detailed consultation to understand the story of what is happening with the person and not just the colon. Using Visceral Osteopathy within the treatment allows us to stimulate liver function, vital for capturing endotoxins and antigens for removal from the blood. The Osteopathic Treatment also engages all the muscles in the abdomen and thorax to improve breathing, blood flow and the removal of excess tissue fluid which commonly rests in the abdomen. Once the client is relaxed and the parasympathetic system has re-engaged, the Sports Injuries Specialist – Registered Osteopath works on the supporting fascia around the organs to release tension that can build up over time, unknown to us. This deeper work is really important to clear the long-term blockages brought about by years of physical and emotional stress. It is very tiring for our bodies holding in these blockages, even if we are not aware of them, so ridding ourselves of them is fantastically energising. We can then start to get the nutritional benefit from the food we eat, rather than our bodies using energy to process the food. HARROW OSTEOPATHIC CLINIC, 9 LITTLETON RD, HARROW, MIDDLESEX. HA1 3SY. 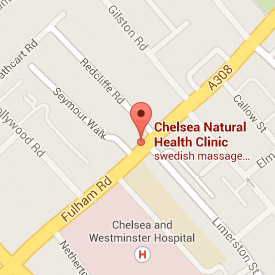 WEMBLEY OSTEOPATHS, 31 NORVAL RD, NORTH WEMBLEY, MIDDLESEX. HA0 3TD.